Indie Retro News: R-Type Deluxe blasts its way through a WIP Christmas release for the Atari STe! 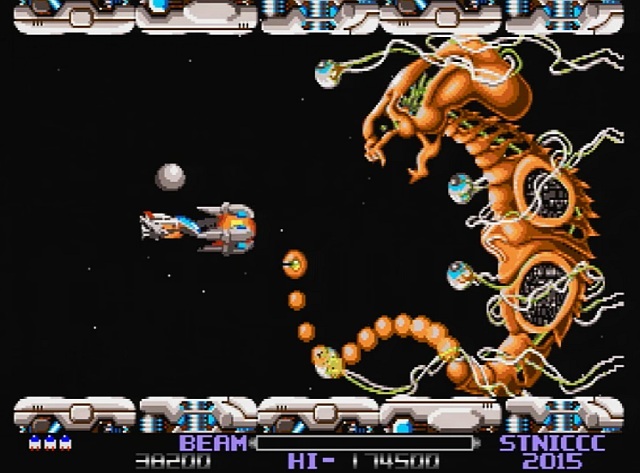 R-Type Deluxe blasts its way through a WIP Christmas release for the Atari STe! Lets go back some months shall we, right back to the July of 2015 when we mentioned the jaw dropping ' R-Type Deluxe ', that was coming to the Atari STe (link). It was meant to be a remake of the most incredible shoot em up of our time, originally produced by Irem in 1987. This remake was set to take the Atari ST scene by storm making full use of the extra hardware, pushing to the limits, its blitter, hardware scrolling and sound chip like never before! Well finally as an end of year update, the developer bod/STAX has released a work in progress version, that according to one such user all stages are playable! As we said the game isn't final and from what can be seen in the video it doesn't seem to be running very smoothly, with noticeable frame rate drops during heavy animation scenes. Although to be fair, that could just the uploaded video, as people on the forums are saying it's running really well such as the feedback from this user : From my short time playing it, the new Deluxe version is a far better version. The original doesn't take advantage of any of the STe's hardware scrolling and feels very sluggish. The Deluxe version is much smoother and the graphics are greatly improved. Certainly a worthy ending to 2015! but as for me, I'll be giving the game a full test via an emulator once the forum login actually works! But at least now you can play it for yourself, as we've been eagerly awaiting this release for some time!